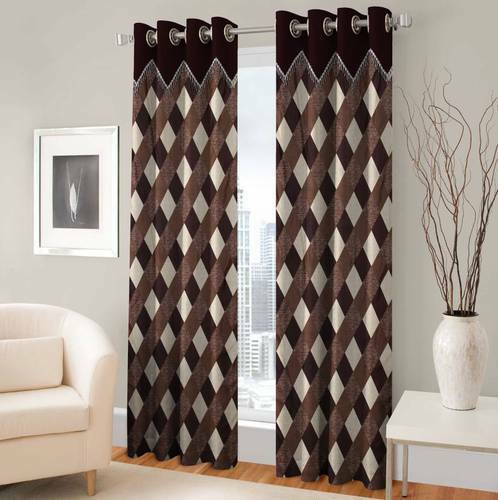 Give your room a makeover with these curtains from Home Creations Furnishing. Tailored from polyester, these curtains offer superior softness and durability. They will brighten your living space and increase the visual appeal of your room. Featuring a vibrant color scheme, these curtains are a worthy addition to your linen collection. They are lightweight, easy to wash and maintain. The curtains will undoubtedly go with your modern home decor. Established in the year 2012, we, Bhavya Textiles, are a distinguished name established in Manufacturing, Supplying and Trading an outstanding range of Sofa Panels, Cushion Covers, Home Bedspreads, Diwan Set, Floor Carpet, Floor Mat, Sofa Cover Set, Sofa Covers, Running Fabrics. The items offered in this line are made in stringent compliance with the industry quality standards and guidelines. Our range of home furnishing product adds charm and dignity to the used area. We also provide the facility of customization to the clients as per their exact choice in the best possible way.